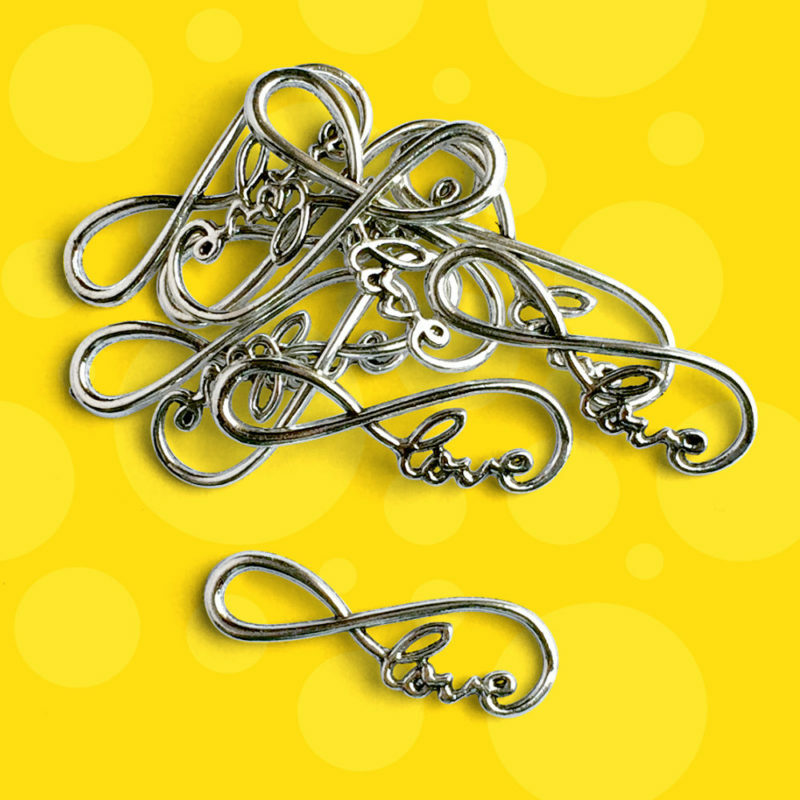 Finding cool stuff, like this piece to make love bracelets, is always a highlight of my day. And fortunately for Amazon, I have become VERY reliant on their “you may also like” feature. Curse you Amazon for your tools to increase conversion… they work, I’m duped every time. So, I was ACTUALLY shopping for watch walkie-talkies so I can keep track of my son while he transverses the neighborhood looking for anyone (far younger than me) to play basketball with. It drives me crazy that he isn’t always within yelling distance, so if we both had a watch – I can just yell thru those & he’ll love it because it is a fun gadget. I see it as a win-win. ? But, instead of seeing suggestions for more walkie-talkies in my handy you may also like feature, these cuties came up and I had to have them. 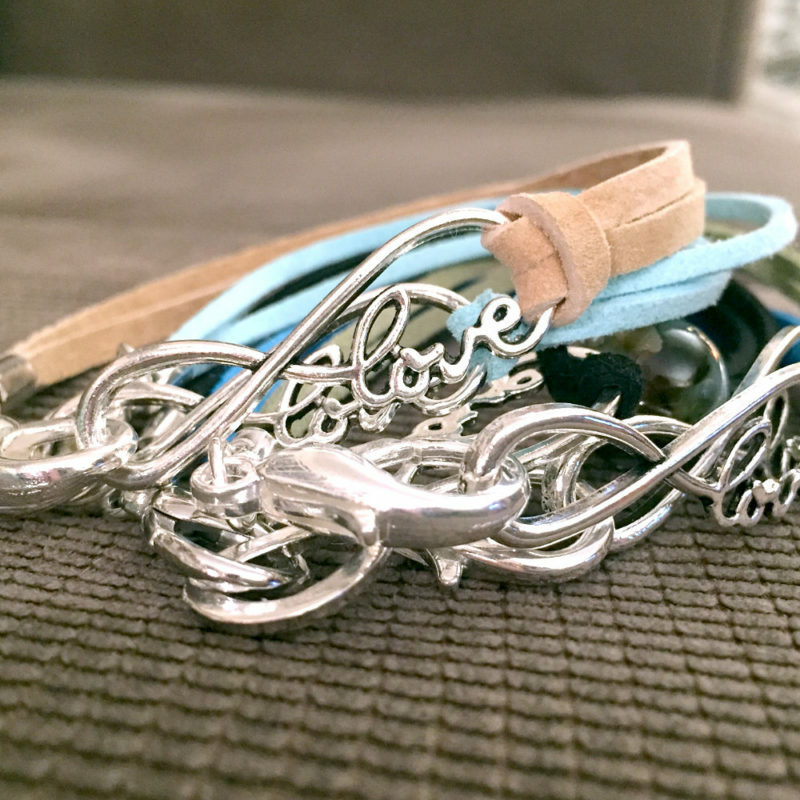 I knew they would make great leather “love” bracelets with a large chunky lobster clasp. Skip the jump rings entirely. Then, of course I couldn’t stop with just that one. ? I made another 15 or so. Needless to say, I DID NOT buy the watch walkie-talkies. Next time, Amazon. This entry was posted in Jewelry, Jewelry Creation, Jewelry Findings. Bookmark the permalink. Icicle Christmas Ornaments – Paper, Shine, Glitter & Jewels! 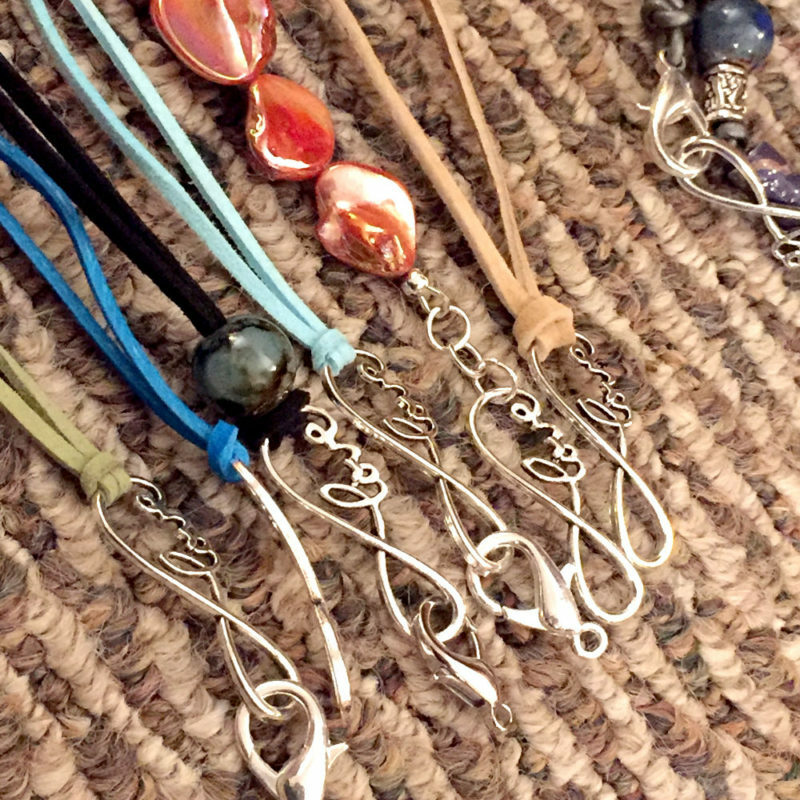 Baubles and Trinkets strives for individuality and beauty in everything we do. 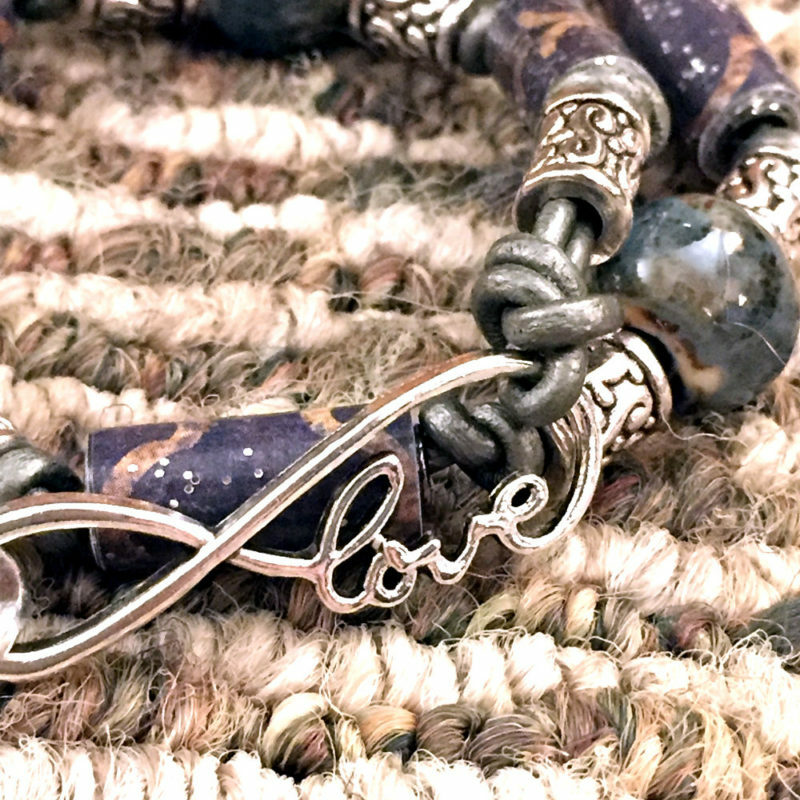 Our core mission is handcraft unique pieces that you love and reflect your personality. Thanks for stopping by; we hope to see you again soon!